Today, I was rummaging through the new Settings of Windows 10 Technical Preview for Phones and see what I found! Windows 10 Mobile now allows you to share your Phone with somebody else. Mind you, this is different from the Kid’s Corner feature. I think it is somewhere between Kid’s Corner and the Desktop’s Profile Switching features. 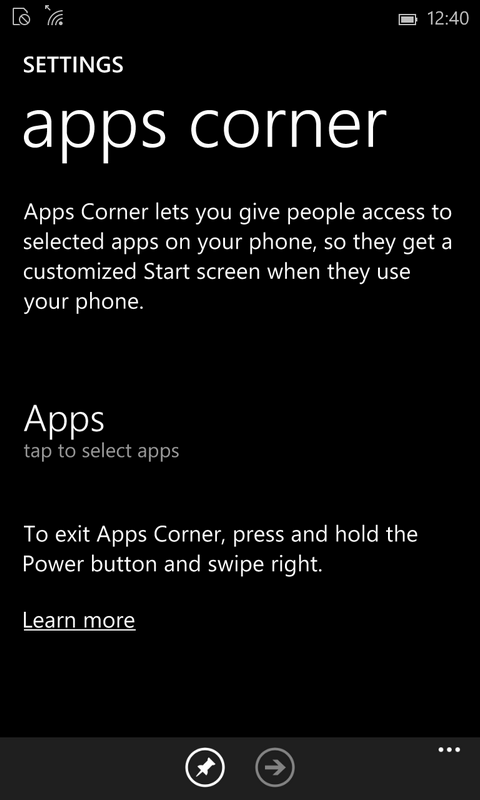 So you can’t fully switch profiles on Phone in Win10, but you can create a curated profile place for Apps. This is cool! I’ve always hated giving my phone to someone, so they can ogle at the new features on my Lumia 1520 GDR1. A phone is the most personal device. My complete life is in there. I don’t like folks messing around on my device. Now I’ve got the tool to feature the phone and at the same time keep my privacy. Have you used this? What is your experience with it? Let us know. Do i missunderstand something here? Yes, you’re right. I have confirmed indeed this was part of WP8.1, weird I didn’t noticed till now.